The Quietflex DWR41548100 Duct Wrap is a foil-faced fiberglass. This 1-1/2"x 48"x 100' duct wrap is bonded with a thermosetting resin. It features a Foil Scrim Kraft (FSK) facing to ensure a lasting and solid bond between the facing and the base blanket. This duct wrap is used to insulate the exterior of sheet metal ducts in HVAC systems to improve the quality of the indoor environment through the absorption of noise inside the duct. Energy-efficient, it decreases heat loss or gain through the walls of the duct.  All facings are provided with one 2" (51mm) stapling tab. 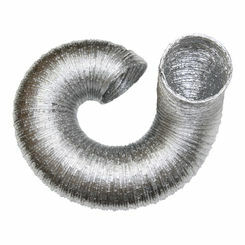 This Quietflex DWR41548100 is designed for a simple and easy installation in metal ducts. Quietflex is a manufacturing company that provides excellent and elastic ducts for the residential and home shopping places at fair prices. In the HVAC industry, they aim to be the chosen provider of elastic ducts. They are also the supplier of niche fiberglass cover functions. Shipping Dimensions 50.0" x 20.0" x 20.0"